Allowing Literacy to Unfold | OFF KLTR! 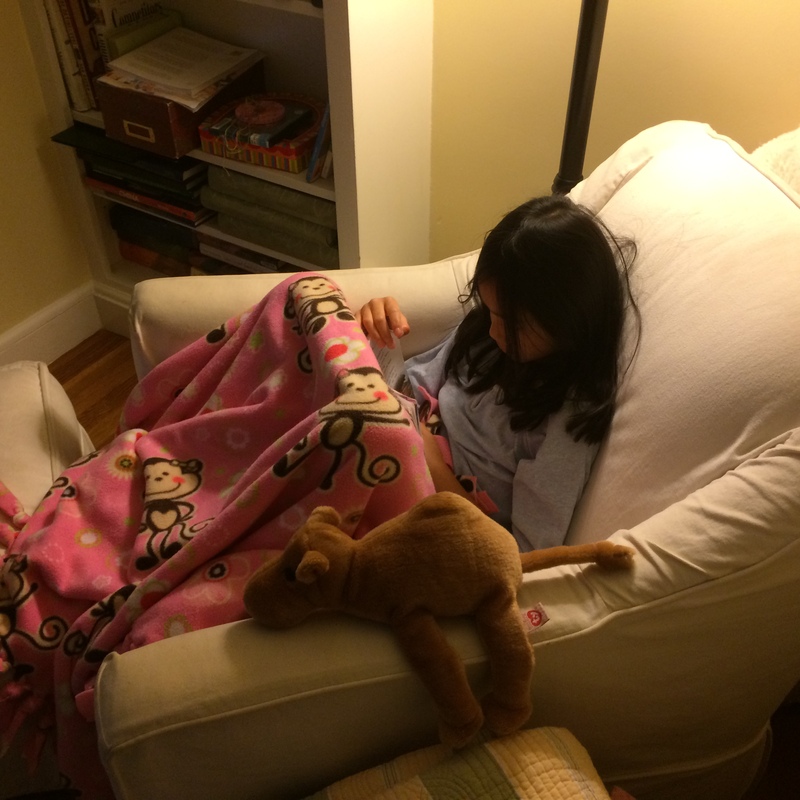 A year ago, my seven (almost eight) year old daughter couldn’t read. She knew letters and their corresponding sounds, but she hadn’t put it all together. She hadn’t yet “exploded the code”, despite my pushing the text book with the same title down her throat! I was nervous. I felt like a failure. I was supposed to be homeschooling my kid and she could not read. Sh*t! was the word that accompanied the sinking feeling in my stomach. Perhaps the State would revoke my teaching certificate? (Yes, I have a Massachusetts teaching certificate.) Perhaps all those teachers – all those family members – all those friends – were right; I was crazy to think that I could homeschool my child. Yes, I am a certified (Spanish!) teacher, but I have no experience teaching children to read in English!! If you hear yourself in the words above…if you feel those same feelings (dread, shame, fear that you’re not doing a good enough job)…I am writing this post for you, my friend. Now, a year later, my eight (almost nine) year old daughter can read! And it happened without my earning a degree in Early Literacy. It happened because I backed off and allowed her literacy to unfold. It happened on her time table, not mine, and certainly not the US Department of Education’s timeline. And now, my daughter can read, but more importantly, she LOVES to read. Carol Black discusses what the modern world has forgotten about children and learning (including, but most certainly not limited to, our obsession with early literacy) in her beautiful blog post A Thousand Rivers. Today – this morning – my big girl read three books! She is loving the A to Z Mystery series (thank you Miss Molly for the suggestion!). And she devoured three of those mysteries this morning. Now of course, I can go to the place of – “well, obviously if she is reading three books in one morning, she should be challenging herself at a higher reading level!”. But luckily, I now have the good sense to tell that little voice to shut the f*ck up! My girl taught herself how to read and she will read longer, more challenging books when she is good and ready, and not a minute sooner. See, I’m learning (wink-wink). Great post, Tracy! Sharing it on FB… I think it’s so important to allow natural literacy to unfold on each child’s own distinct timeline and without coercion. After all, we want our children to not only learn to read, but to love to read. Kerry McDonald! You have quite a readership!! My site had more views today than it’s had all month!! Thank you so much for your kind words and for sharing my post. It’s so true – we want our kids to love to read! And viewing reading as just a skill and a requirement by a certain age, takes all of the joy out of literacy. But getting lost in a book, now that is magical!